Australian Baha’is have welcomed the news that Fariba Kamalabadi, one of seven former Baha’i leaders in Iran jailed for their religious beliefs, has stepped free from prison. 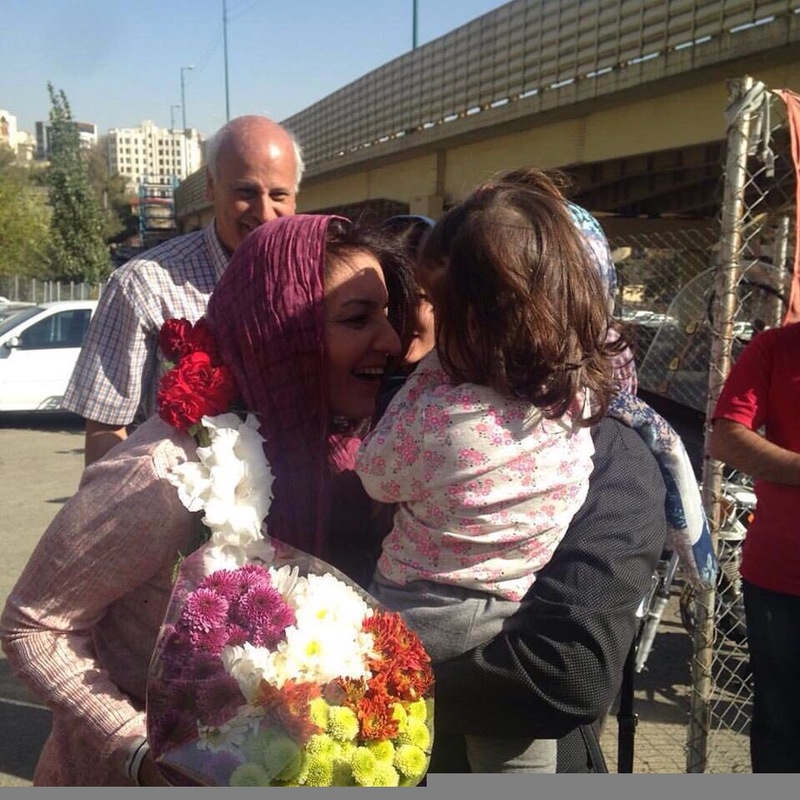 Her release on the completion of her unjust 10-year-sentence has taken place against a backdrop of ongoing arrests of other Baha’is, raids on their homes and forced closure of Baha’i-owned shops. Arrested in 2008, Mrs Kamalabadi, now 55, and her six colleagues were subjected to a sham trial widely condemned by the international community, including successive Australian foreign ministers, governments around the world, the United Nations General Assembly, and the UN Secretary-General. Australian Foreign Minister Julie Bishop has called repeatedly for the release of the seven leaders. Australian Baha’i spokesperson Natalie Mobini said Baha’is throughout Australia, including relatives of Mrs Kamalabadi who now live here, were pleased to hear the news of the release, which follows the release last month of the first of the Baha’i leaders, Mrs Mahvash Sabet. Dr Mobini said all seven had been held incommunicado at times and subjected to months of solitary confinement. They suffered appalling treatment and deprivations, including psychological and physical hardships. A developmental psychologist, Mrs Kamalabadi is a mother of three and a grandmother. Dr Mobini said that even though Mrs Kamalabadi has been released, she cannot be said to be free. Iranian Baha’is are persecuted in many facets of their lives, and in many ways the situation is even worse than was the case 10 years ago, including widespread economic discrimination tantamount to economic apartheid. Dr Mobini said Australian Baha’is remember with gratitude and admiration the many messages of support and calls for justice issued over the years by many members of the legal profession, leaders of faith communities, journalists, academic staff at universities, writers, MPs and cabinet ministers, successive foreign ministers and Parliaments both Federal and State. The release last month of Mahvash Sabet was welcomed in a public statement signed by prominent political and community figures including former Foreign Minister Bob Carr, Special Envoy for Human Rights Philip Ruddock, and Greens leader Senator Richard Di Natale. The five remaining Baha’i leaders, most of whom have relatives in Australia, are also expected to complete their sentences in the coming months. They include Mr Jamalodin Khanjani, 84; Mr Afif Naeimi, 56; Mr Saeid Rezai, 60; Mr Behrooz Tavakkoli, 66; and Mr Vahid Tizfahm, 44.